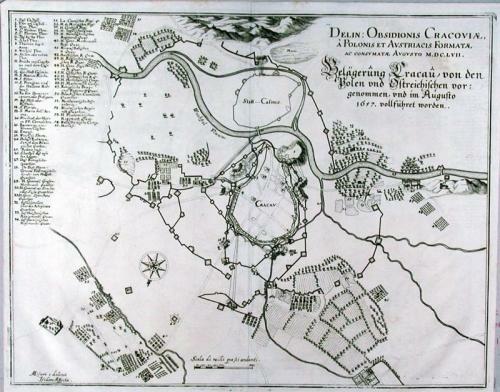 A plan of Cracow, Poland, besieged by the Polish and Austrians in 1657. The Swedish army took the City in 1655 after a short siege. The plan shows the siege works surrounding the walls and coming ever closer. Along the left margin is a 55 point index.